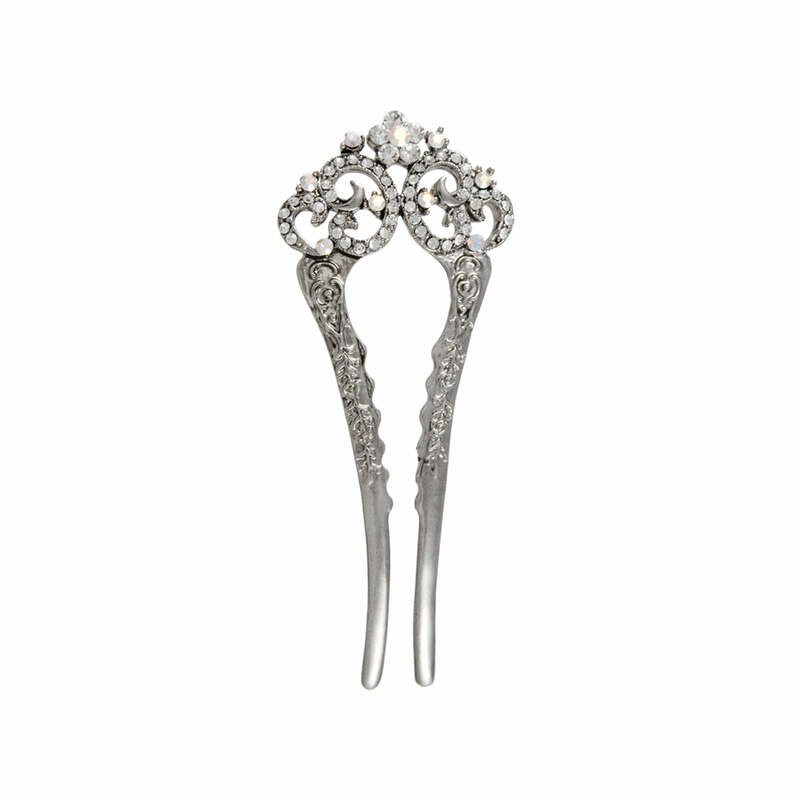 A statement hair pin with a charming intricate crystal design full of vintage glamour. An exquisitely ornate antique silver tone hair pin set with clear and AB crystals. Intricately carved prongs hold a vintage style crystal decoration. A very chic and elegant hair pin which would decorate any french pleat with class and would be a perfect wedding hair accessory for brides and bridesmaids. Received this promptly and I am thrilled with it. It looks really expensive and glistens perfectly without looking 'tacky'. It was packaged really beautifully too. A perfect hair accessory for a special occasion. Love it! I just received this through the post and it is absolutely beautiful, a very quality made hair pin. Very elegant!